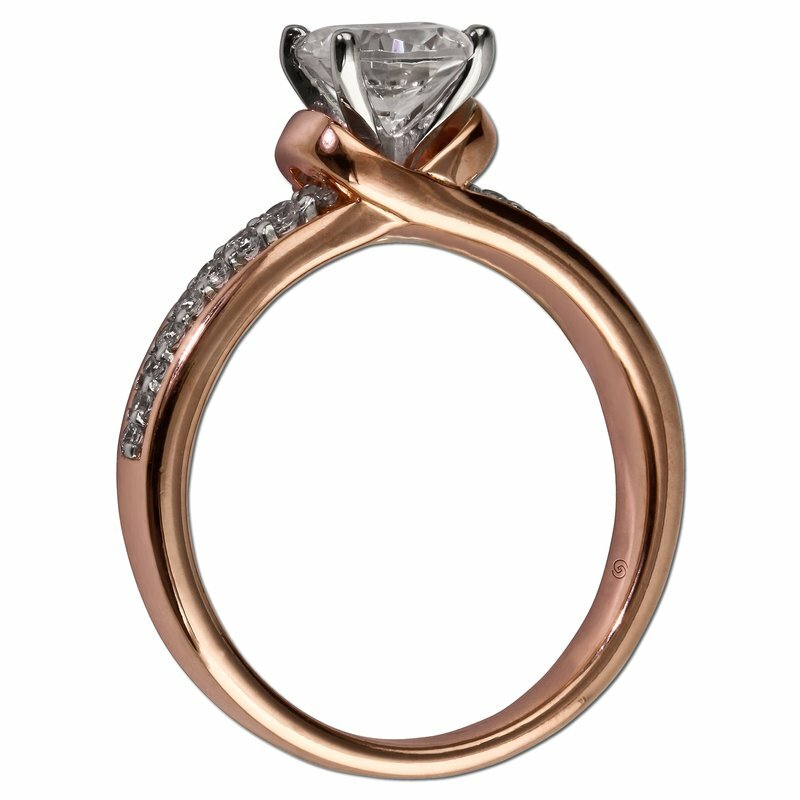 Gorgeous unique rose and white gold engagement setting, with a petite channel of diamonds prong set, between a polished rose gold border. 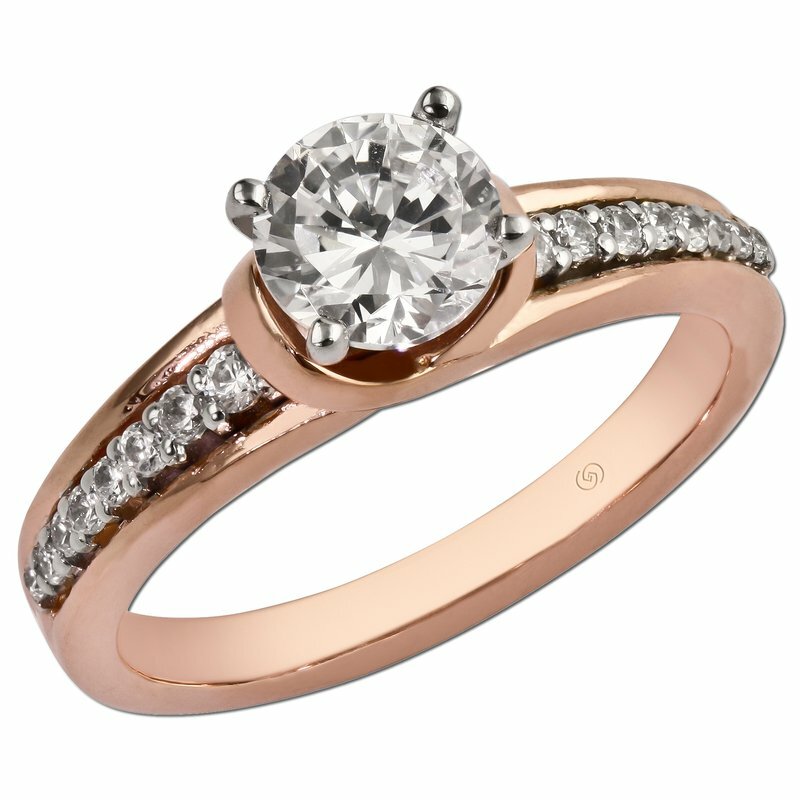 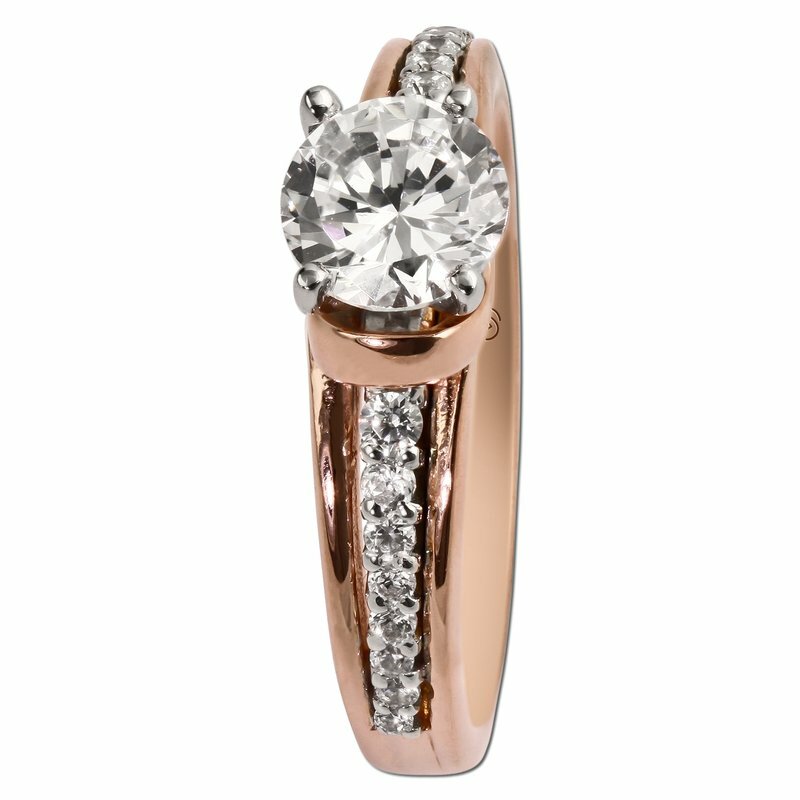 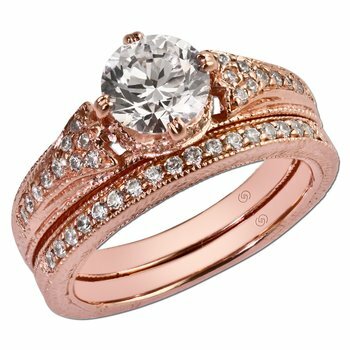 A polished rose gold band wraps around the head, showcasing a gorgeous center stone. 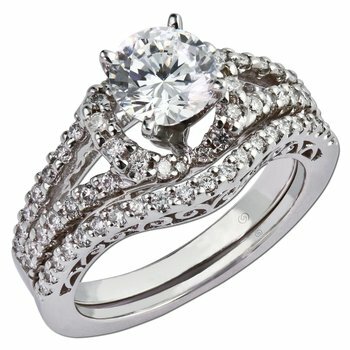 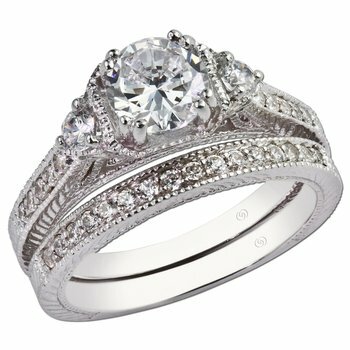 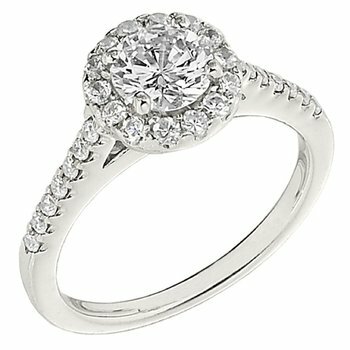 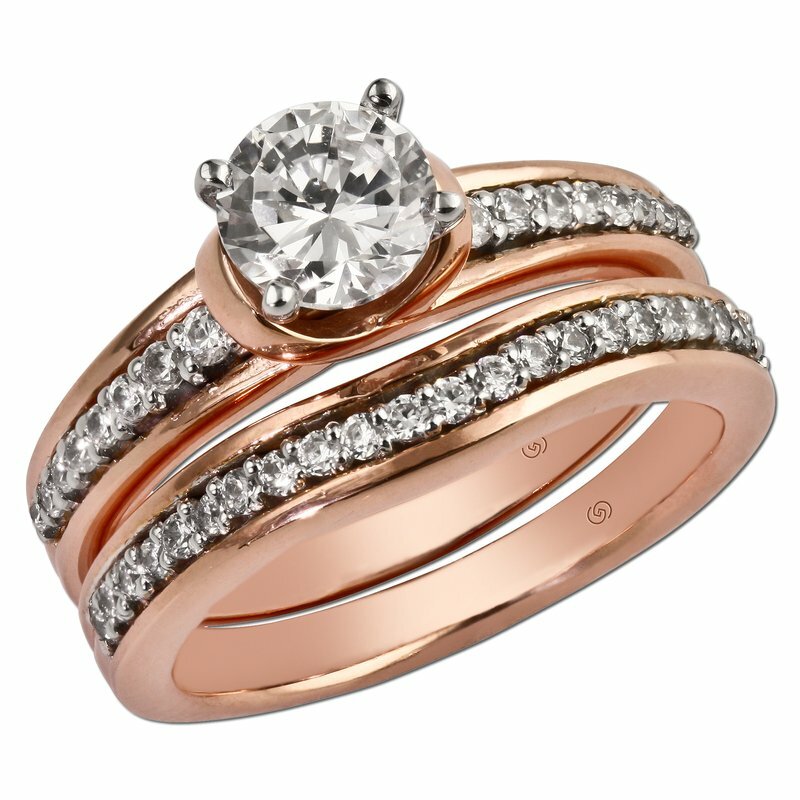 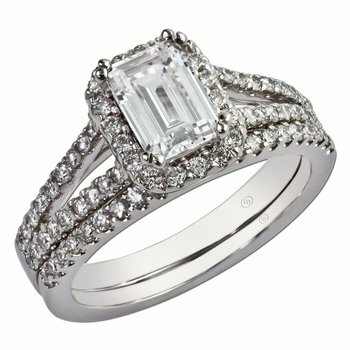 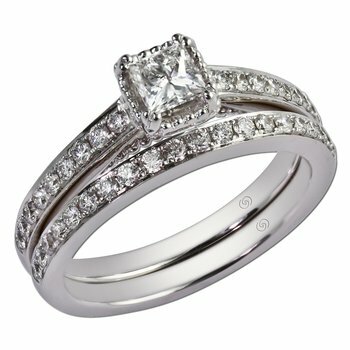 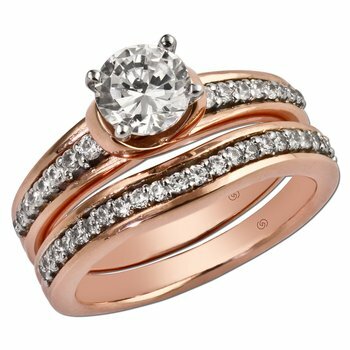 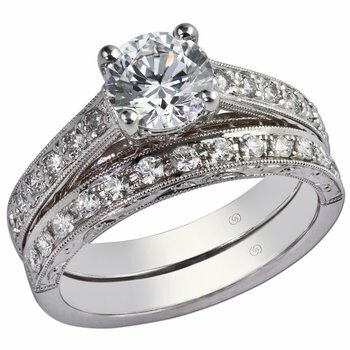 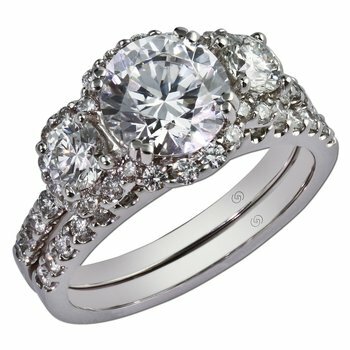 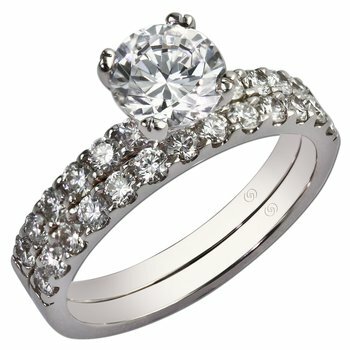 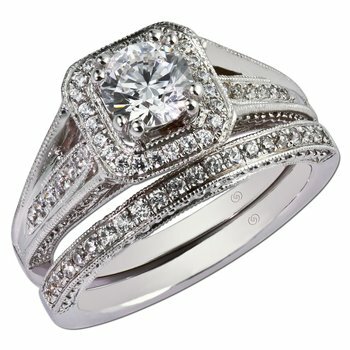 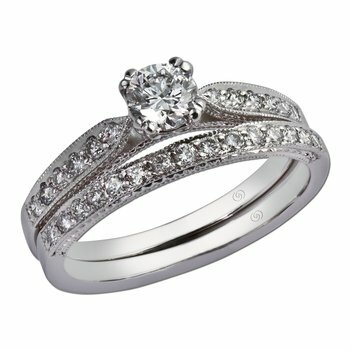 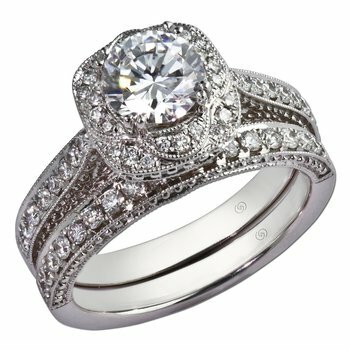 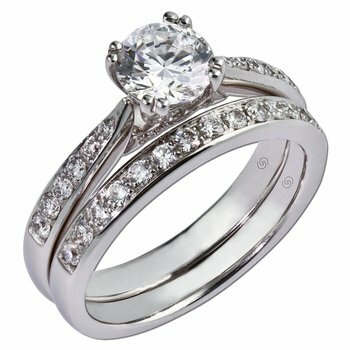 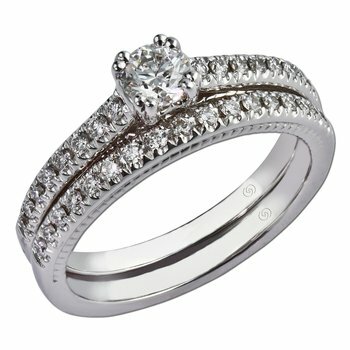 The matching wedding band curves slightly, hugging the engagement ring, also displaying the same sparkling channel of diamonds, perfectly matching the engagement ring.